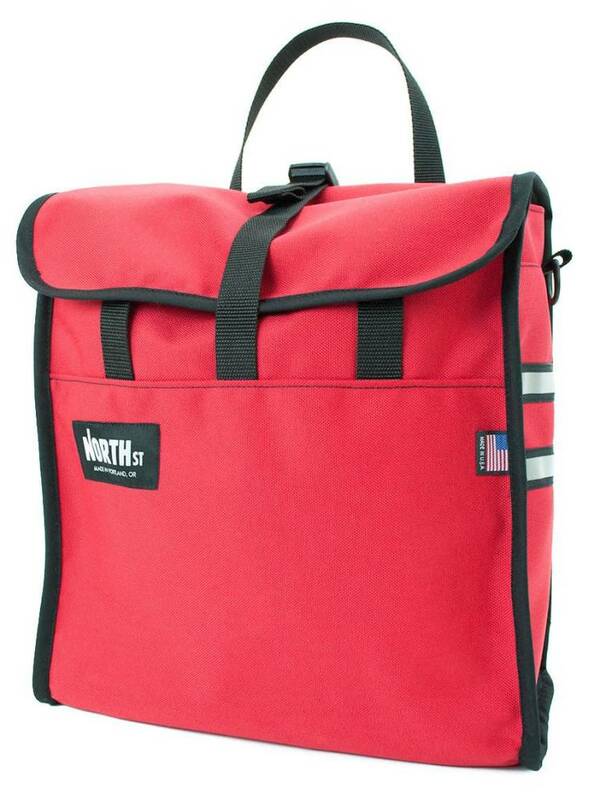 Make your commute or running errands by bike easier with the best value grocery pannier available. 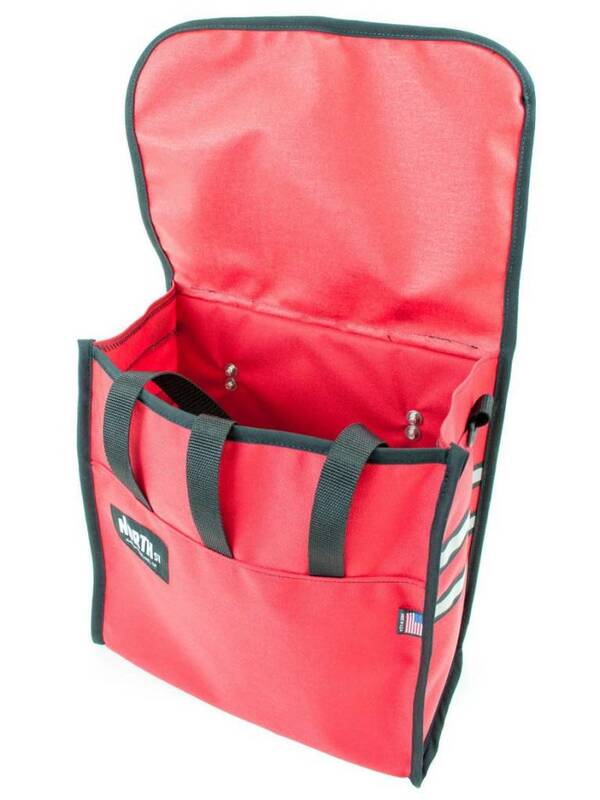 The Gladstone Grocery Pannier is a simple flap top bicycle gear bag that mounts quickly to your front or rear bicycle rack. 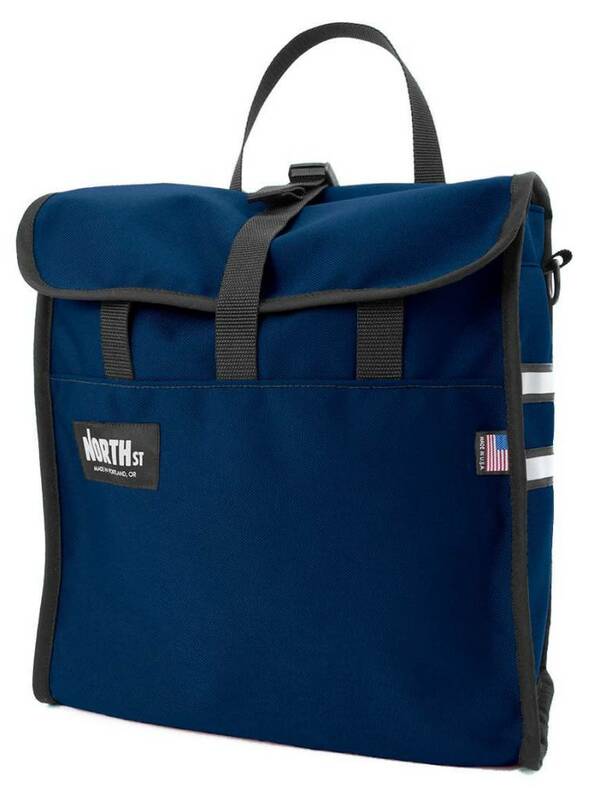 Built with 1000 denier CORDURA® brand nylon, a naturally water resistant and highly durable outer shell material, the Gladstone features a flap top closure for quick and easy access. 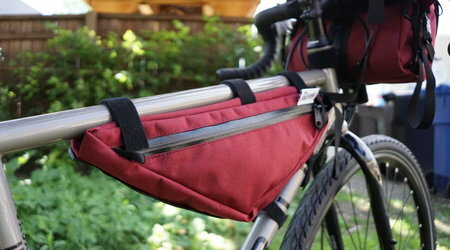 A classic hook and bungee mounting system makes securing the pannier to your rack simple and easy. 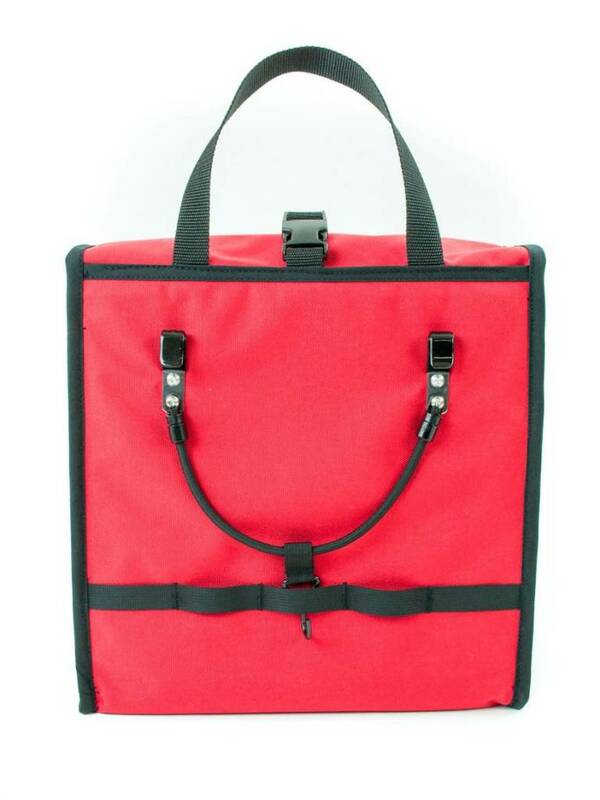 Mount an optional shoulder strap to the D-rings on the side or use it as a tote with the dual carrying handles. Dual side reflector bands improve nighttime visibility when walking or riding after dark.